Session details and frequently asked questions can be found here. After reviewing session details, look at my different newborn and family photo packages to see which one is right for you. If you are ready to book your session, fill out my contact form or email me at anniewhitakerphotography@gmail.com. Newborn sessions are scheduled between 4-14 days. This is done for several reasons. Newborns this young are more likely to “curl up” and remain sleepy for the duration of the session. They are much more tolerant of being posed and moved around than a 3 or 4 week old. Almost all of the “sleepy newborn” shots you see here on the website were done with newborns 14 days old or younger. If your baby is older than 2 weeks, don’t worry, we can still capture beautiful photos-it may just take more effort on both ends and we will need to skip some of the poses you see. Newborn sessions take place in my home studio in Covington, LA where you have access to all of my props and beautiful studio lighting. Clients travel from all over the New Orleans area including : New Orleans, Metairie, Kenner, Mandeville, Madisonville, Ponchatoula, Picayune, MS and surrounding cities. Its not uncommon to have clients travel 2-3 hour drives for professional portraiture for newborn, maternity, milestone and family sessions. Where do family sessions take place? Family Sessions take place at either Fountainebleau State Park or Fairview State Park. Sometimes we may go to a random location if I find some beautiful flowers or pretty light. Once you pay your session fee, your due date is secured on my calendar. We will make tentative plans around that time. Once baby is born, let me know as soon as possible (ideally within the first couple of days and absolutely before baby is 7 days) and we will select an actual date. If you do not contact me within that first week, I cannot guarantee availability before the 2 week mark, so please contact me sooner. I always try to leave availability for my newborns, but I do have other session scheduled in advance. How do I prepare for my newborn session? Once I receive your retainer I will send you a newborn session questionnaire to fill out that will help me plan the details of your session. I will also send you detailed instructions on how to prepare newborn and family for the session. It is important to follow these instructions as closely as possible in order for the session to run smoothly. Just the essentials in the diaper bag! Everything needed for a newborn session including all photography props are available in studio. You do not need to bring additional items unless you have something sentimental such as a family heirloom. Most store purchased items are too large for newborns and not used at our session. The studio is stocked with the highest quality custom sized props from all over the world including the Netherlands, Belgium, and Wales. Maternity and/or Newborn sessions: It is HIGHLY recommended that you reserve these sessions in advance, as soon as you find out you’re expecting or at the beginning of your 2nd trimester. Please do not wait. Sessions with me are very limited as I also teach high school and have a full schedule. I limit the number of sessions I take every month to ensure that I can give my clients my 100%. 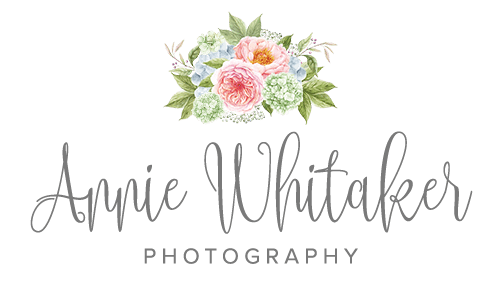 Please email anniewhitakerphotography@gmail.com to check availability. 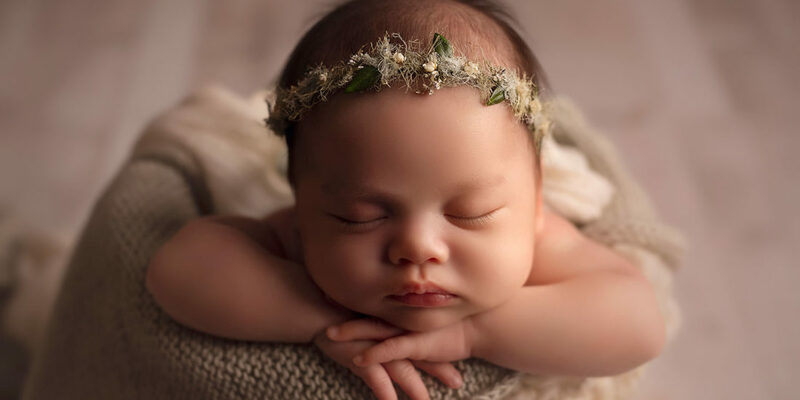 Once your newborn arrives we can be sure to schedule baby within the first two weeks after birth for posed newborns in the studio while they’re still sleepy for those curly womblike poses. Milestone and family sessions should be scheduled a minimum of 4-6 months in advance. Due to the amount of returning clients that continue to book milestone and family portraits year after year, dates available to the public must be booked several months in advance to ensure available sessions as a new client. Current clients are already on the calendar for the following year. Newborn sessions often run long due to the nature and frequent nurturing of the infant, expect a minimum of 2-3 hours. I do not rush the session, I let baby take as many breaks as needed. Baby’s comfort and safety is my number one priority. The timeframe of family sessions depends on what package you select. I only shoot exactly what I need for that particular package. Can I print the pictures wherever I want? Yes, I give you full printing rights to do what you’d like with them. Images are delivered via PASS digital downloads. You can share your session with friends and family via PASS. Also, you have the option to order professional prints directly from your link and the images will be shipped directly to your home. I strongly recommend purchasing larger prints and products from me as this is an investment and the quality of professional products is unbeatable! If you choose to use a consumer lab, I recommend MPIX. Can I order professional prints? Yes. In the link you receive to download your high resolution images, you are also able to order beautiful professional images which is highly recommended. When is my session retainer due? A non-refundable retainer of $150 (plus tax) is required at the time of booking to secure your session. If it is not paid within one week, your spot will be released. Your balance must be paid by the day of your session. Email me at anniewhitakerphotography@gmail.com or fill out my contact form.